Whether you love cats or find your refuge in dogs or horses, the sweet and lovely story of The Tiny Bells will touch your heart. After all, who else was in the manger with the baby, Jesus? Animals!! I think that’s significant, don’t you? The many incredible, transformational gifts they give us every day are not to be ignored, discarded or underappreciated. Our guest this week on The Real Dr Doolittle Show is none other than yours truly, Me! I was recently invited to speak on a 12 Days of Intuitive Intelligence(tm) Telesummit, and received permission to post the interview recording to the Show so you can enjoy it too. Our animals change our life in so many ways, it pays to be more consciously aware of them and their many gifts. 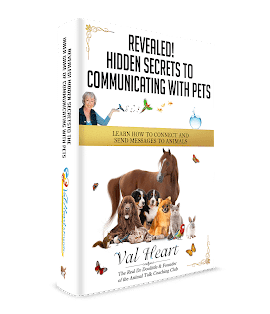 I know it’s a busy time of year, but I hope after listening to my interview and reading our heart warming articles in this edition of our ezine, that you’ll spend some quality time expressing your gratitude for the amazing Gift of the animals in your life.